Who does not need a cube trunk for storage? 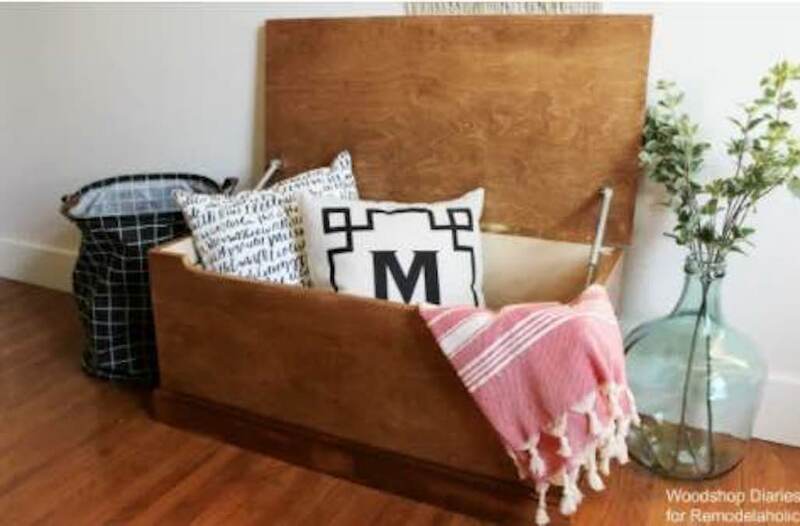 Two of these at the end of a bed, or as unique storage coffee tables…This is such an easy project! Old-fashioned joinery with a clean, modern look. This blanket chest features mortised frame-and-panel construction.